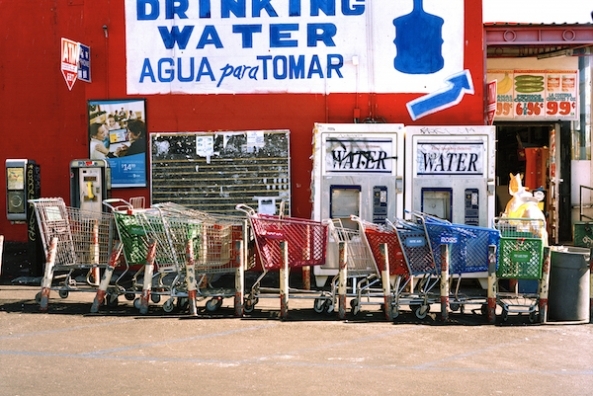 In 2006, I started taking pictures of shopping carts. At the time, I would shoot them as if they were wild animals on safari. Not paying attention to shape, form, or composition, I used a “snapshot” style with a medium-format camera. Yet, I wasn’t sure why I was photographing them; there was something deep inside me compelling me to do so, but I could not figure out their meaning. As time progressed and my artistic education grew, I pursued other projects, but I didn’t stop taking shopping cart pictures. Whether I used digital, film, or iPhone, my compositions evolved from pointing and shooting to taking my time to capture what is there. You can see the difference: Notice how “The Padilla Family,” which I shot back in 2006, concentrates on the details of the carts as if it were a portrait of a family, while “Instagram #236,” which I Instagrammed in 2013, expands the space and shoves the cart into isolation, creating the sense of abandonment. 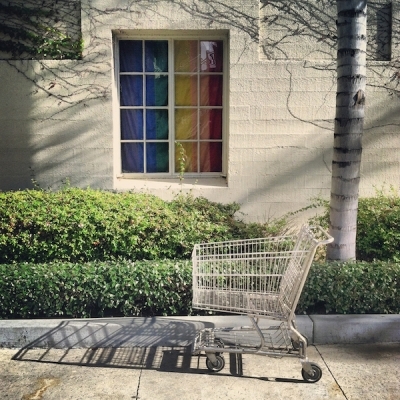 Now, thanks to Instagram’s square format for composition, as well as some time in therapy, I’ve come to understand the message behind the shopping carts. Photographing them is a way to articulate, artistically, my struggles with a psychological condition. I have generalized anxiety disorder (GAD), a condition that fills me with extreme worry even when there’s no reason for it. The disorder stems from post-traumatic stress disorder, which comes from multiple traumatic childhood experiences. 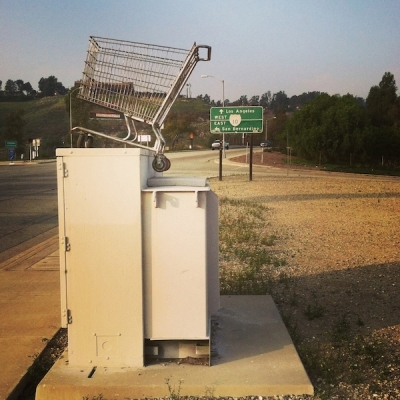 At first, one might consider my images of isolated shopping carts in various locations to be sociopolitical statements about consumerism or cultural identity. But these photographs are intended to illustrate my constant feelings of loneliness and displacement, and a need to hide. They are a personal reflection on how I have dealt with my depression without the use of medications. In short, they are therapeutic. In my solo exhibition, You Found Me, which first ran at the Chicano Studies Research Center Library at UCLA in early 2014, I was able to be open and honest about my longtime struggle with GAD. And I allowed the public to see who I have become. I am still shooting the shopping carts today. I believe the series will continue as I continue to heal. Christopher Velasco is a mixed-media artist working in Los Angeles. On Instagram, he is @1caver and his website is http://christopheravelasco.wix.com/cav-photography. He wrote this for Thinking L.A., a partnership of UCLA and Zócalo Public Square. 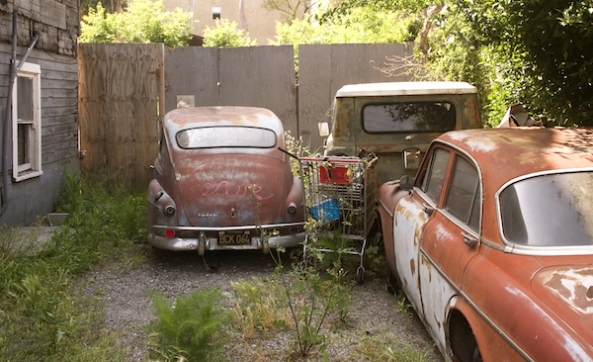 art, generalized anxiety disorder, Instagram, photography, shopping carts, Thinking L.A.